Local events - our follow-ups! As a part of the Youth Exchange “I feel good” in Rijeka, Croatia, each country team was supposed to pass the on the spirit of sports & a healthy lifestyle to their friends, families, neighbours, colleagues and as many other people in their daily surroundings as possible. As our team is spread over Austria, we had two follow-up events, on the 19th and 26th November, one in Graz and another one in Vienna. 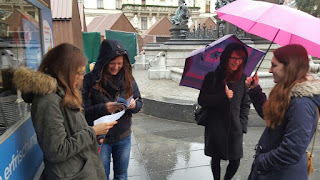 During our Youth Exchange in Rijeka we had the possibility to participate in a really cool treasure hunt that enabled us to explore the city and have fun together in a group. 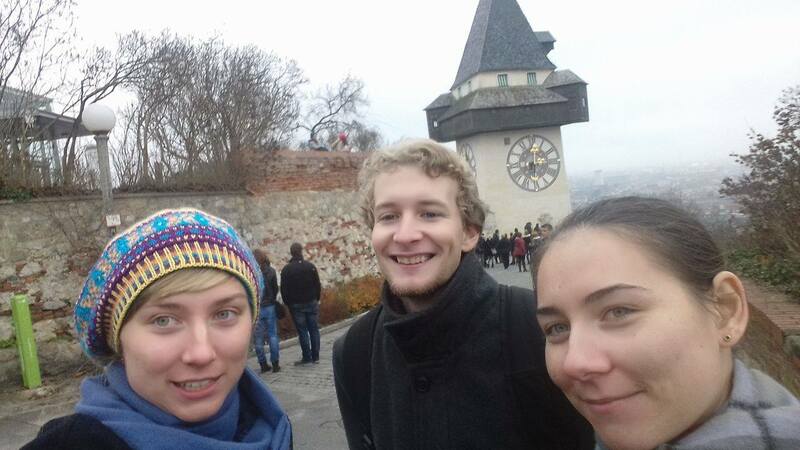 Nina, Konrad, and me (Marion) then thought that it would be great to implement a similar event in Graz for our follow-up. Said and done! We decided it would be best to have 20 tasks for the participants to fulfil within three hours. 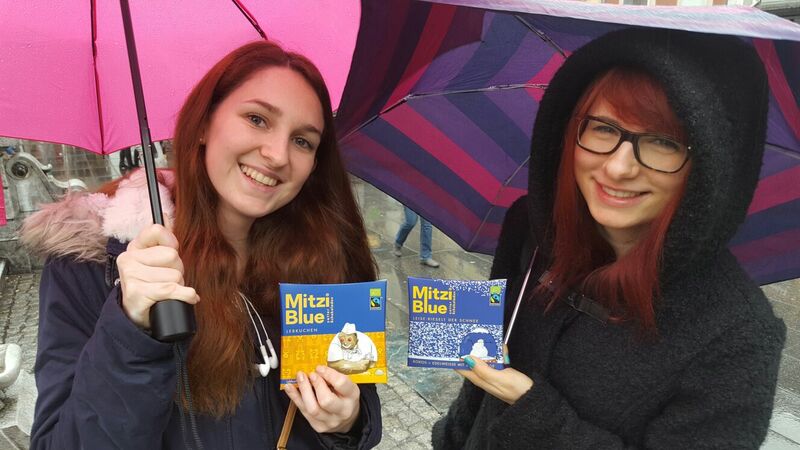 The tasks were a mixture of fun-facts such as “Which international popstar went to school in Graz?” (Conchita Wurst, by the way) , exercise “How many steps lead up to Schlossberg?” (260) and specific Graz knowledge like “Find the friendly alien” (nickname of Kunsthaus museum). I think we had as much fun thinking about them as the participants did completing them. We then gathered on Saturday 19th of November at the main square to meet the contestants and let them embark on a self-guided exploration around Graz. Because it was also a delight for us and because we got so unlucky with the weather the first time, we then decided to do a treasure hunt 2.0 the following weekend. It was a great success not only because the weather was a lot nicer, but also because even more people showed up and wanted to explore the city. And, of course, because there was chocolate as a prize. Organising an event like this and especially thinking about tasks for participants let us get to know our own city better. 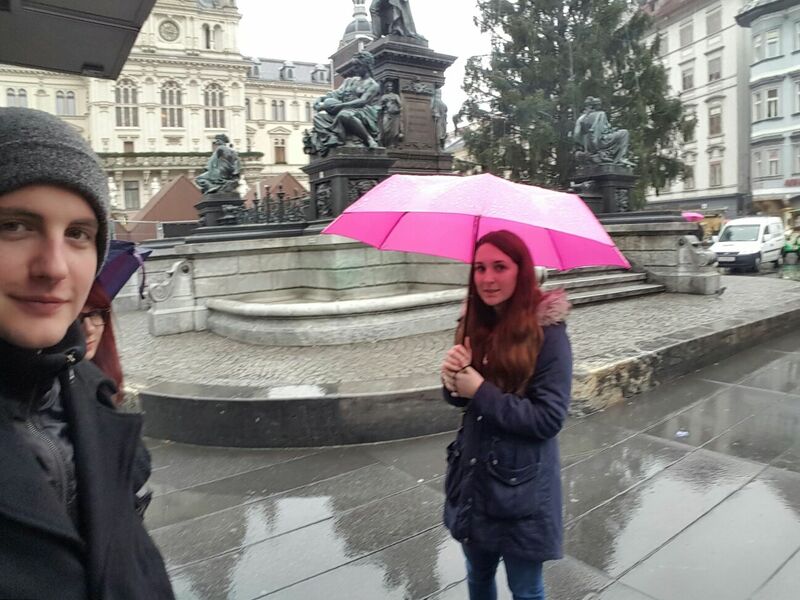 We worked as a team and everyone contributed something and had good ideas, so we learned new interesting things about Graz ourselves. 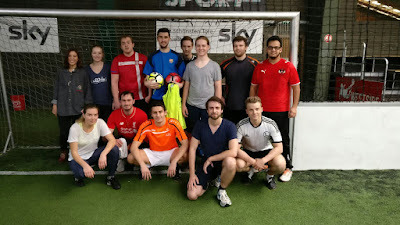 The team in Vienna (Alex, Bartek, Manuel) organized a Football Match in the Westside Soccer Arena, on 26th October 2016 at 10:30 am, for their friends and friends of friends to spend some good and active time together. There have been fourteen people who played football in two teams for 1.5 hours. Some of the participants were professional players, whereas others were just amateurs (and sometimes even afraid of the ball); so we had a huge variety of players which was no problem at all, but rather beneficial as we could learn a lot from each other. The primary goal was not to win, it was to be active, have fun and enjoy time with people that share the passion for football. And those goals were definitely achieved!